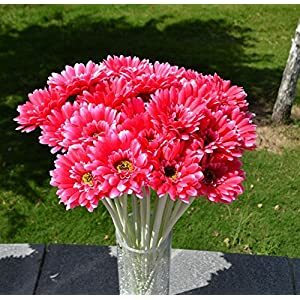 Artificial daisy flowers will make a happy mood in your office and home. 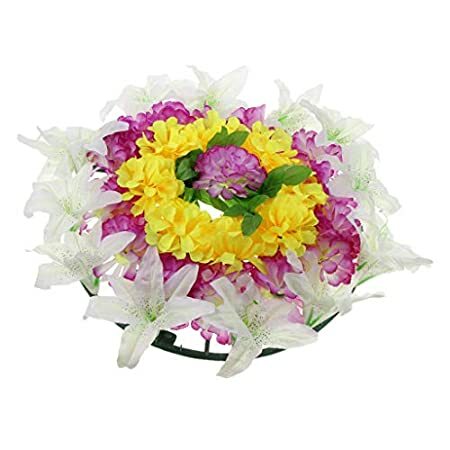 Enjoy our great collection of artificial and silk daisy flowers. The come in arrangements and stems and all sorts of shapes sizes and colors. Lots of gerbera daisies and of course mixed with other flower types. 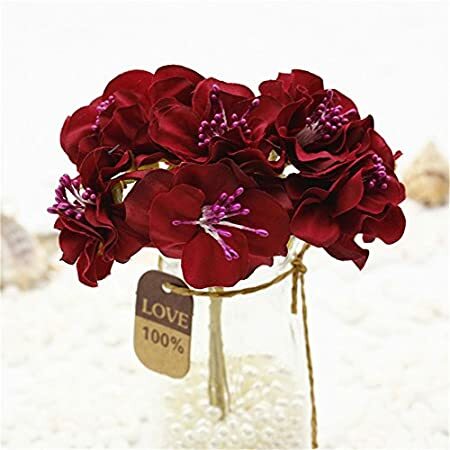 The flowers are super realistic and will enhance your decor and at a wedding. Your setting will have added vibrancy and fun and will fit into and enhance any sort of decor. Mix the silk daisies with other artificial flowers to make up a brilliant centerpiece or bouquet. There are so many uses for these flowers – just needs imagination! No matter how you use them they will add color to any setting. With highly competitive pricing, fast delivery and above all great quality (all products are reviewed by people who have bought them, and only HIGHLY reviewed are shown here) buy with confidence.